Has Kereke lost Parliament Seat? 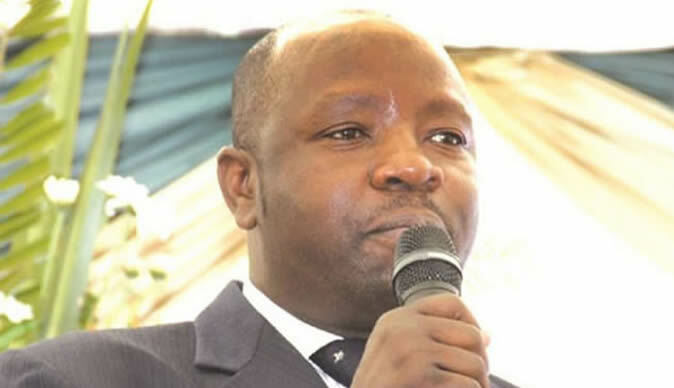 If reports that Dr Munyaradzi Kereke has re-joined ZANU PF are correct, then his Bikita West seat has fallen vacant in accordance with Section 129 (1) (l) of the Constitution of the Republic of Zimbabwe which states that: "… the seat of a Member of Parliament becomes vacant – if the member, not having been a member of a political party when he or she was elected to parliament, becomes a member of a political party." Unlike the VP cases that I hope to get to in later articles, Dr Kereke's case, if press reports of his re-admission into ZANU PF Masvingo structures are correct, is a clear one. Dr Kereke beat Elias Musakwa of ZANU PF, Heya Shoko (MDC-T) and Benjamin Katema (MDC) in the 31 July 2013 elections after he defied ZANU PF leadership and refused to give way to Musakwa. By so doing, he automatically expelled himself from the party. On the 10th July 2013, ZANU PF through the then Secretary Didymus Mutasa wrote to Dr Kereke and also informed the Zimbabwe Electoral Commission that he was no longer a member of ZANU PF. Information publicly available is that ZANU PF tried to expel Dr Kereke from parliament on grounds that he was no longer their member on the 3rd October 2013. Dr Kereke took ZANU PF to the Constitutional Court. He argued that the expulsion was null and void because at the time of the election (July 31st), he was no longer a member of ZANU PF. He cited Mutasa's letters to him and to ZEC as evidence. On the 23rd October 2013, a full bench of the ConCourt led by Chief Justice Godfrey Chidyausiku granted a consent order following an out-of-court agreement between Dr Kereke and ZANU PF. Dr Kereke thus retained his seat as an MP for Bikita West as an independent. The observation here in common language must be, that Dr Kereke argued in his submission to the Con Court, that section 129 (1)(k), that says a seat becomes vacant if the MP ceases to be a member of a political party of which he or she was a member when elected, did not apply to him. This is the section both ZANU PF and National Assembly Speaker Jacob Mudenda had relied upon when they tried to expel him from parliament on the 3rd of October. In seeking membership of ZANU PF or any party for that matter, and upon admission, Dr Kereke or any MP would trigger section 129 (1) (l) and immediately cease to be an MP. In conclusion, if what acting ZANU PF Masvingo Province Chairman Paradzai Chakona said is true, Bikita West should now be declared a vacant seat needing a by-election in line with section 39(1) of the Electoral Act.